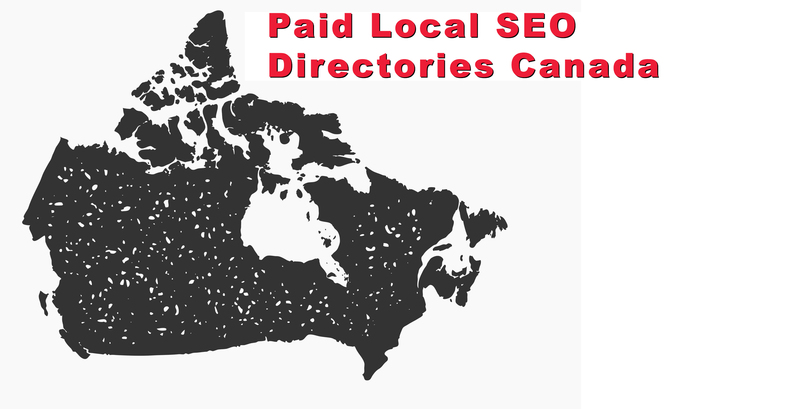 You can submit your business to the following paid canadian local seo directories. listingsca.com - Only canadian-based businesses listed, fast inclusion. localsites.ca - Ugly directy and outdated website design but high domain authority. Don't waste your time with the basic free listing because your business won't be added. Paid submission = one business day inclusion. strictly.ca/submit - Cost effective local seo directory. Minimum descriptions is 350 characters. The Recent Additions column is a very powerful tool to get your recently launched website indexed on Google (takes normally less than 24H to get indexed after initial inclusion). 1800canada.ca/submit - Online since 2007. Almost unknown to digital marketing agencies and local seo experts in Canada.Very affordable (less than $6). livebusiness.ca - They give you lifetime listing and 24H inclusion (during business days). One image or logo allowed + 1 deep link that you can use for your Contact page in order to give more power to your NAP consistency.